Entertainment group Kinda Funny put on the first-ever Kinda Funny Games Showcase today, and there were a large number of indie games represented there. Here’s a selection of release date announcements, new games, and trailers that we thought were excellent. Super Meat Boy Forever is releasing in April 2019. The hotly anticipated meat-jumping game is coming to Switch, PS4, Xbox One, and PC. Moving Out is a game about, well, moving things. It looks fun and silly, and co-op seems like it might be something special here. 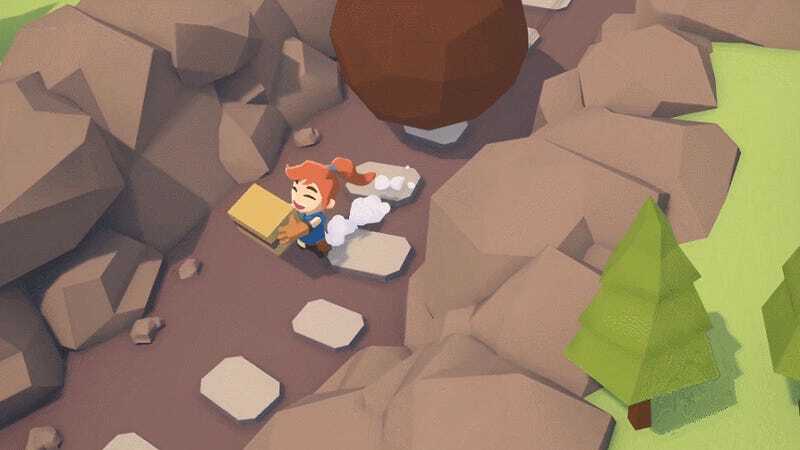 Carrying boxes is hard. It’s coming to PC and consoles in 2019. Toejam & Earl: Back In The Groove is coming to PS4, Xbox One, Switch, and PC on March 1, 2019. It seems fun, and Freddie Prinz Jr. did an introduction for it. Quarantine Circular is out today on the Switch. The sequel to Subsurface Circular will be available on the eShop this afternoon. Conan Unconquered is a new Conan game coming out next year. There’s no release date yet, but from the official Steam page it appears to be a strategy game where you do Conan stuff. It’s coming out in 2019. There’s a new DLC update for Human Fall Flat. Now you can wrestle your friends in a whole new locale. It will release on December 10th. Vane now has a release date on PS4: January 15, 2019. The game has a really bleak and beautiful look to it, but you’re also a kid who can become a bird, so it seems pretty neat. Bury Me, My Love is a game about Syrian refugees coming to the Switch on January 10, 2019. It’s a poignant story that has been available on other platforms, but it is nice to see it hitting the portable console. Supermarket Shriek is a game about a man and a goat in a cart. They scream together. The game comes out in 2019. A Fold Apart is about a couple separated by pages. It looks very cute. It will come to PC, Switch, PS4, and Xbox One in 2019. Desert Child is a weird cyberpunk beat-em-up racer. It’s coming to PS4, Switch, and PC on December 11.